Jeffrey Edmison, Senior Director, National Field Operations, is responsible for key CTAC education initiatives relating to teacher and principal evaluation, performance-based compensation, school turnaround, and state-to-district collaboration. Mr. Edmison provides management oversight for CTAC’s engagements with states, districts and schools around the nation. He previously served as Chief Operating Officer for the Christina School District, Delaware’s largest district, providing leadership for the New Directions in Christina systemic reform effort. Through a methodical implementation of the Standard Bearer Schools process, the district significantly increased student achievement and created foundational changes in the organization. In addition, he has served as the Associate Superintendent of Operations for the West Contra Costa Unified School District in Richmond, California, and as the Regional General Manager for EdisonLearning, Inc. As a reform-minded leader, in both roles, Mr. Edmison led multiple system-wide efforts improving the educational and organizational outcomes for students. Barbara J. Helms, Ph.D., Senior Associate, Evaluation and Accountability, has guided CTAC’s landmark work in the area of data driven decision-making and the impact of performance management. 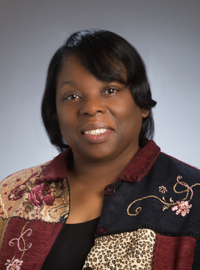 She is the research and evaluation expert on the instruments and methodologies that CTAC uses to gauge student achievement and other indicators of school progress, and provides professional development to districts using CTAC’s data analysis instruments. 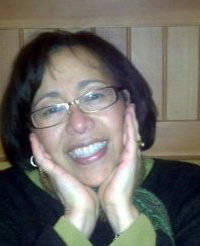 She previously served as Coordinator, Demographics and Assessment, for the East Hartford Public Schools in Connecticut. She has also served as President of the Northeastern Educational Research Association. Dr. Helms has conducted multi-year evaluations of state and federally-funded grants awarded to urban school districts, and was a Switzer Distinguished Research Fellow. She has extensive experience in student achievement data analysis, design and implementation of district data systems, statistical methodologies, and the creation and use of relational databases in teacher evaluation and performance-based compensation reforms. Eric L. Johnson, Ph.D., Senior Associate, School Turnaround, provides technical assistance designed to support systemic school improvement efforts. He previously served as Chief of Research Publications for the United States Air Force Academy and as Director of The Urban Education Program in the School of Education at Drake University. Dr. Johnson served Columbus Public Schools for nine years in the capacities of middle and high school teacher, curriculum coordinator, and professional development facilitator. As an assistant professor and adjunct faculty member, he has taught undergraduate and graduate courses in educational policy and leadership. His areas of expertise include curriculum development, culturally relevant pedagogy, urban education, and global and multicultural education. Dr. Johnson has traveled extensively, examining educational policy and practice across international boundaries. He has facilitated national and international workshops on a variety of topics including using difference as an organizational asset, professional learning communities, and data driven decision making. In addition, he has authored three inspirational books: Beyond Self Help: A Journey to be Better, 10 Deadly Aspects of Pride, and Livin’ in the Shade: Implications of Father and Son Relationships Explored. Martin Orland, Ph.D., Senior Scholar, Research and Evaluation, is an innovative and resourceful education leader with a proven track record in building organizations and product lines that support the highest priority knowledge needs of policymakers and educators. During a career spanning over 30 years, Dr. Orland has held numerous senior level positions within and outside of government, giving him a unique perspective on how to create and deliver the highest quality knowledge and data resources to diverse stakeholders and constituents. Previously he served as Senior Program Director for Evaluation and Policy Research at WestEd and Founding Director of its Washington, DC office where he led a nationwide staff conducting research, evaluation, and technical assistance efforts for clients from federal, state and local agencies, national and community-based foundations, and non-profit and for-profit organizations. As Director of the Center for Education (CFE) at the National Research Council, part of the National Academies, he was responsible for the development and dissemination of influential research reports covering such topics such as student cognition; scientific research in education, STEM teaching, learning, and curriculum; and technology applications in schools. Dr. Orland also served as Special Assistant to the Director of the Institute of Education Sciences, where his responsibilities included the creation of the What Works Clearinghouse. In his role as Associate Commissioner with the National Center for Education Statistics, he directed the publication and dissemination of the Third International Mathematics and Science Study (TIMSS). Dr. Orland is a former president of the Association for Education Finance and Policy and currently serves on the Editorial Board for Education Finance and Policy. He has authored several dozen publications for academic journals, policy and practitioner audiences, and government agencies and regularly presents at international, national, and regional conferences. Alexandra Whitehead, Instructional Specialist, is a leader in school turnaround services. Ms. Whitehead is a third-generation educator with several years of experience teaching and coaching in grades PK-5. She started her career as a corps member in Teach for America in Memphis, Tennessee. She wrote curriculum and collaborated with other teachers to implement Common Core aligned instruction and achieve high levels of reading and math growth. She was a founding kindergarten and first grade teacher at a charter school, and served as the Memphis liaison to the Tennessee Charter Schools Association. Following her corps commitment, Ms. Whitehead worked in Washington, D.C. as a teacher and instructional coach supporting teachers PK-5th grade. Her areas of expertise include conceptual math, guided reading, maker-centered and project-based learning, and family engagement.